The government of Canada has overturned mandatory retirement legislation for federally regulated employers. 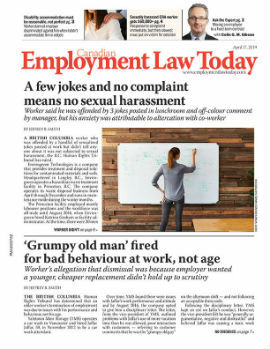 The government has repealed sections of the Canadian Human Rights Act and Canada Labour Code that permit employers to force employees to retire once they reach a certain age, regardless of their ability to do the job. Now, employees in federally regulated industries such as banking, transport, and communications will be allowed to continue working beyond the typically mandated ages of 60 or 65. "We're not born with date stamps saying our fitness for work expires at 65," said David Langtry, acting chief commissioner of the Canadian Human Rights Commission. "Age discrimination is discrimination, pure and simple." The repeal of the mandatory retirement provisions in Canadian law was contained in the Budget Implementation Act, which has now received royal assent. All Canadian jurisdictions, with the exception of New Brunswick, have now abolished mandatory retirement. The Canadian Human Rights Commission has called for repeal of the mandatory retirement provisions of the Canadian Human Rights Act since 1979.